One of the key principles of organizational change management is that implementation takes place at the local level. No matter how good your project team is, you still need a skilled cadre of Change Agents to actually implement your change. The success of your project depends on having the right Agents with the right skills, traits and characteristics working with Sponsors and Targets in an established change structure. What’s more, the type of Agent you need at the beginning of the project will be different from the type of Agent you need in future phases—see our Mini Guide to Installation vs. Implementation for details. That’s why picking the right Change Agents is a critical step that should not be overlooked. 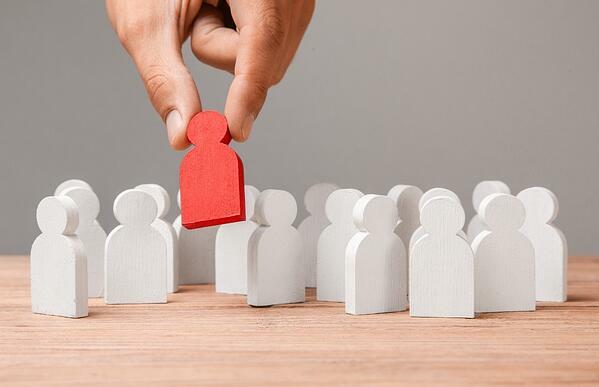 A common mistake we see in our change management consulting work is when Agents are selected based on who is available, or who has a high level of technical expertise, rather than on who has the right skills to influence others. Successful implementation requires Change Agents who have a range of skills, motivation, and maybe most importantly, the right relationships within the organization. You will find individuals who meet these requirements are highly sought after! If you can’t find someone who meets all of the requirements, look for someone who can fulfill most of them. The general rule is to look for thought leaders within the organization - individuals who have the trust and respect of their leaders, and influence with their peers. These individuals may not initially be in favor of a particular change, but if engaged in a way that helps them see the value, they become strong advocates, and can then share that perspective with team mates. Build Agents' belief in the outcome of the project - Treat Agents as Targets first. Do not send them out into the organization until they are also Change Champions. Identify and align rewards for Agents - Agents need to be reinforced, too! Remember rewards need to be in the Frame of Reference of the recipient. Invest in Agents' skill development - Even when Agents have the right personal characteristics, they need specific skills and knowledge. For example, Agents should have access to tactics to manage resistance and strategies for Sponsor contracting. The investment in appropriate change management training will pay off for both the current and future changes. Provide continuous opportunities for Sponsor Contracting - Effective Change Agents need to be able to contract with Sponsors for what actions are needed from that Sponsor at any point in time. We call this process Sponsor Contracting and it is crucial for the success of any change. Make the Agents' assignment a full-time job when possible - 25% of 4 peoples’ time does not equal one full-time Change Agent. When you have people devoting small portions of time to complex, enterprise-wide change, you end up spending a lot of time keeping people up-to-date on what happened. It's simply not efficient. Plan for Agent succession. (Not if, but when) - It's a reality that Change Agents will come and go over the course of a project, particularly if you are working on a multi-year transformational change. Plan for how you will transition people into the role. Too many projects lack skilled resources for the Change Agent role who have trust and credibility with both the Targets and the Sponsors. When you have the right Agents, in the right places, in the right numbers your implementation will go more efficiently. One final cautionary note, though—even the most skilled Agents are less important than the cascade of Sponsors who are Expressing, Modeling, and Reinforcing their personal commitment both publicly and privately to the change!